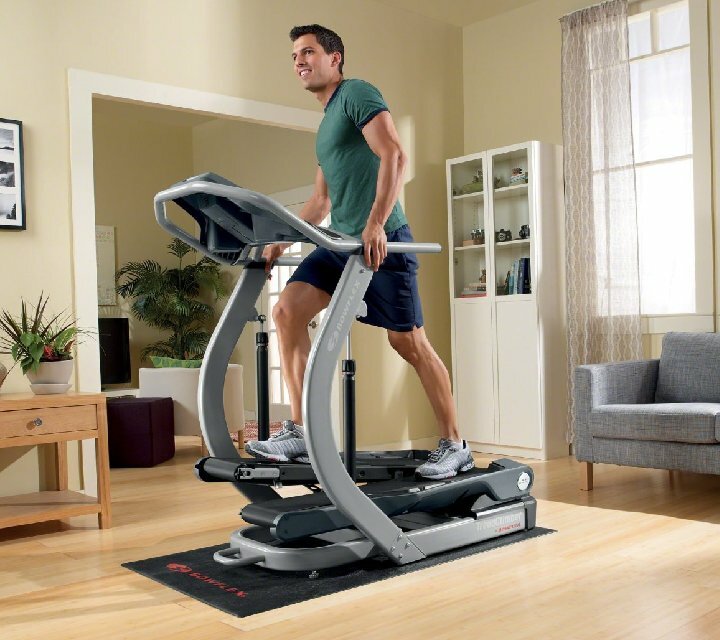 Life is busy, and finding the time to fit in exercise can be hard... But what if we told you we have the perfect solution? 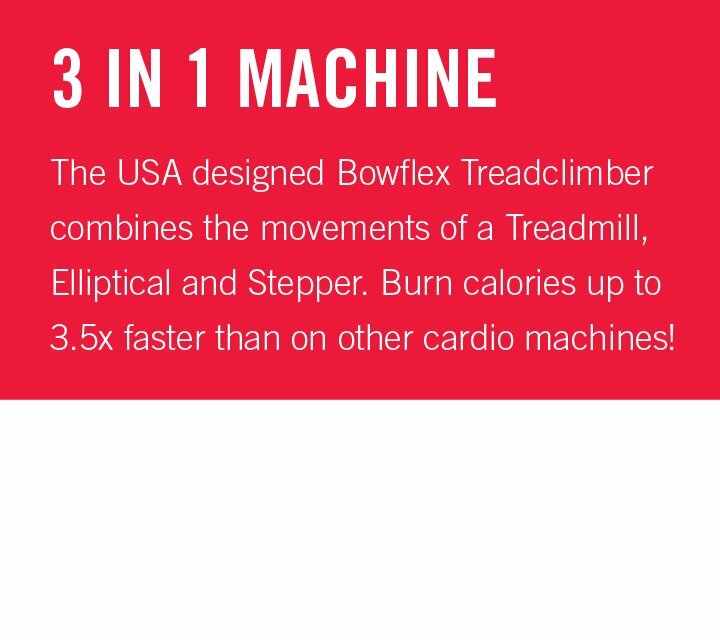 What if we told you there is a cardio machine which burns up to 3.5 times more calories than a normal treadmill? 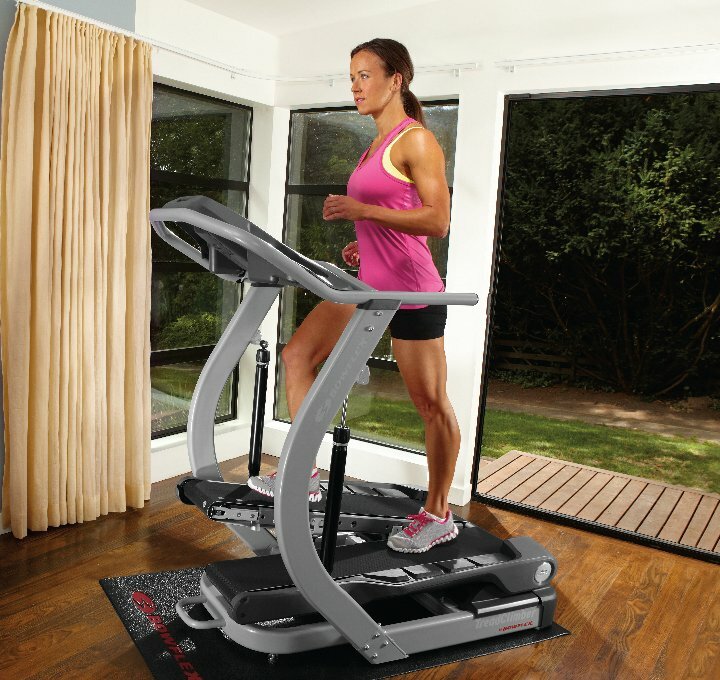 Get MAXIMUM results in MINIMAL time with the Bowflex® Treadclimber® TC20. 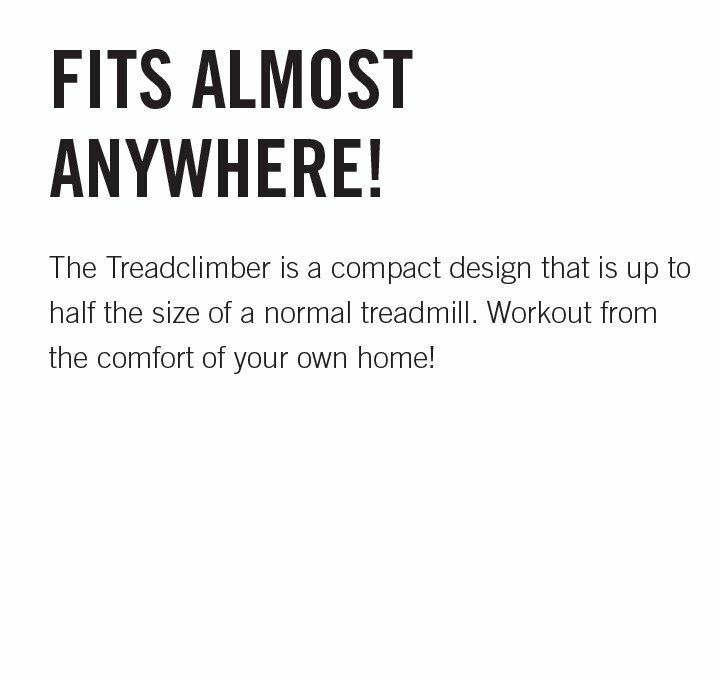 Combining the best aspects of a treadmill, elliptical and stairclimber, the Treadclimber® TC20 will have those unwanted pounds melting off you. 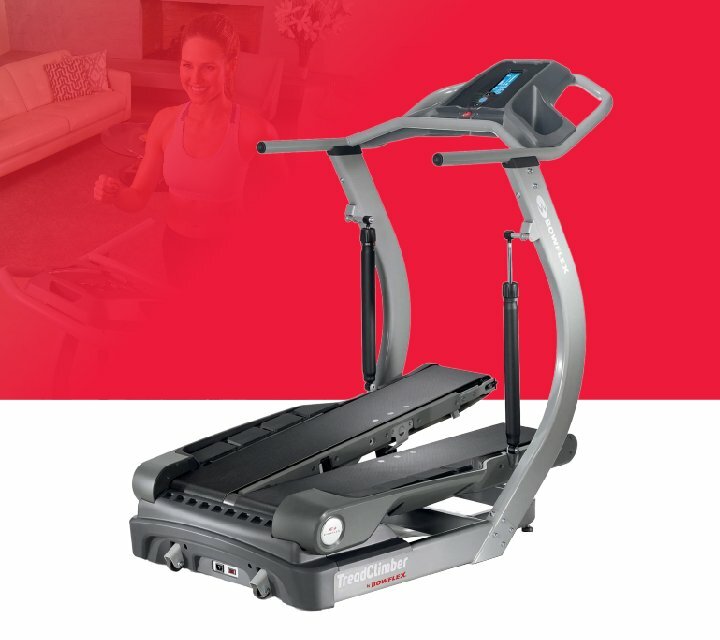 This machine provides the perfect low impact exercise and is suitable for a wide range of body types with a maximum weight capacity of 136kg. Why waste time? 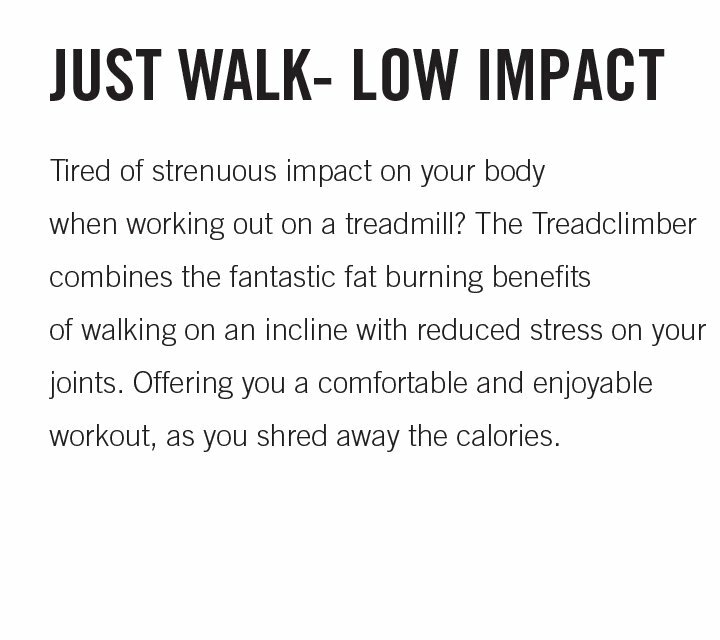 Exercise effectively with the TC20. 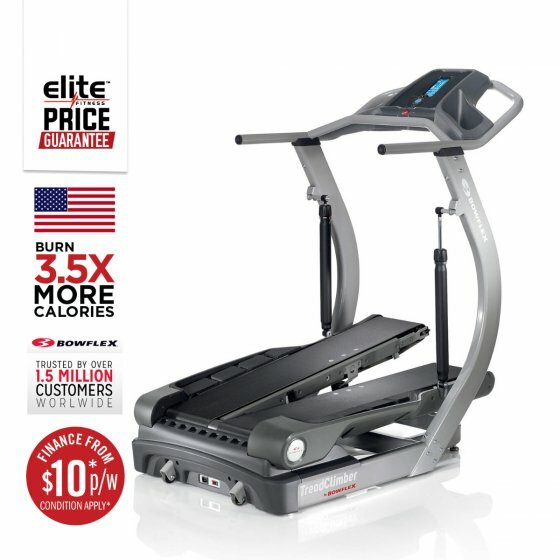 Finance: Purchase a Bowflex TC20 Treadclimber for $10.00 per week. Terms include a 12-month interest-free period with a deposit payment of $280 - finance option is based on a 36-month contract. Alternatively, we are able to tailor make a payment plan to suit you. 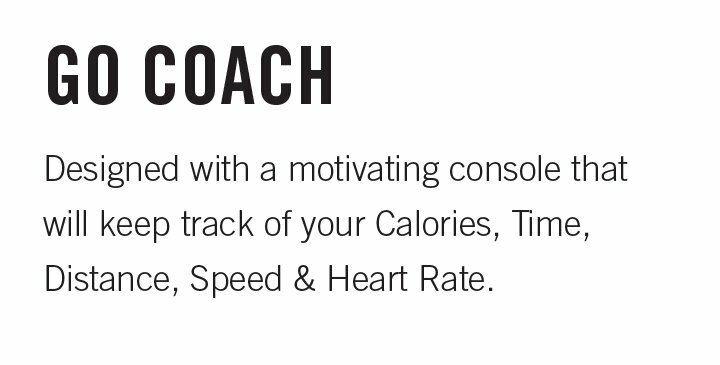 Backlit LCD Display: Displaying valuable feedback includes User profiles, Time, Distance, Calories, Speed & Heart Rate. 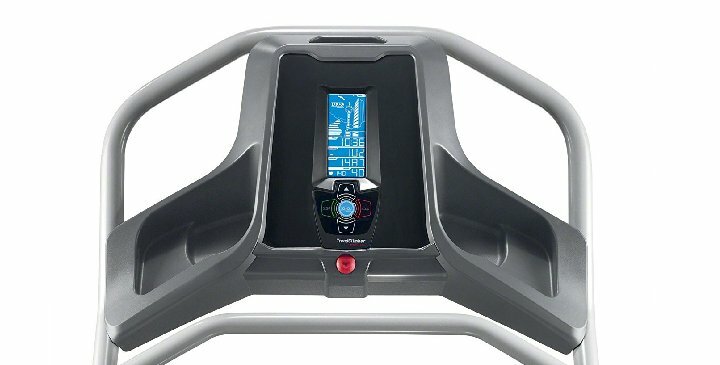 7.2km/h Speed Control: Located on the console, start off steady and adjust the speed to build up your fitness and stamina.